Amiens and Lyon close Thursday, January 24, the schedule of the fourth phase of the 2018/2019 version of the 2018/2019 French Cup. In the meeting will be known the last classification for the stage of the eighth finals. The kickoff is scheduled for 18h (GMT) at the La Cicorne stadium in Amiens. It is the first of two consecutive duels. On Sunday, January 27, the teams will face each other for the twenty-second round of the French Championship at the same venue.In the French Cup all games are eliminatory. In case of equality in the regulatory time is carried out extension of 30 minutes. In the continuation of the draw, penalty kicks define who is pursuing one of the most democratic competitions in Europe, since even amateur teams are allowed to participate. 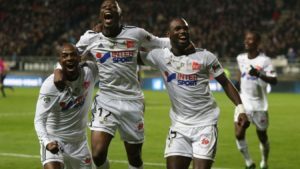 Ligue 1 teams such as Amiens, who make their 2018/2019 debut in the elite division of French football, had the privilege of making their debut in the French Cup from the third round. Acting at home, against Valencienes, Ligue 2, won by 1 to 0.It was his only win in the last six games. In this block, there is a defeat at home to Lyon by 3 to 2, which caused the elimination in the League Cup of France, and two draws and two defeats in the French Championship.The failures in Ligue 1 were the most recent results. The first one was expected. Acting at home, Amiens was beaten by Paris Saint-Germain 3-0. The second also can not be considered a surprise. As a visitor, the team took 2 to 1 of Lille, vice-leader of the French Championship.In this match, which was played on Friday, January 18, opening the schedule of the twenty-first round of the tournament, Amiens was very close to scoring. It was in the lead on the scoreboard, it was equalized and managed to hold the match until the 40 minutes of the second half, when it ended up suffering the second goal.The defeat only had no worse effects because all the teams in the last five positions on the French Championship standings lost. That way, Amiens managed to stay out of the relegation zone. With 18 points (five wins, three draws and 13 losses), he is seventeenth. It has one more point than the Dijon, eighteenth and first in the sticking region.As a client, the team performs similarly. It is the worst quarter of the Ligue 1. Of the 30 points played in their stadium, they won ten (three wins, one draw and six losses) having scored 12 goals and suffered 17. Lyon faced the opposite situation in the twenty-first round of the French Championship. As a visitor, he faced St. Etienne, who until then was unbeaten in his dominions. It came at a disadvantage in the marker and came to the reverse, by 2 to 1, thanks to a goal scored in the 50th minute of the second half.Having reached 37 points (ten wins, seven draws and four losses), he resumed third place in Ligue 1, leaving St. Etienne in fourth place. 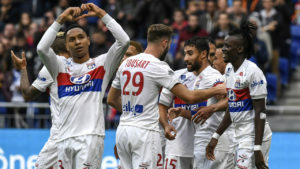 The battle is quite important, after all, holds a place in the 2019/2020 edition of the Champions League.In addition, he closed a series of three unsuccessful games (one defeat and two draws) of Lyon that was opened with the elimination, against Strasbourg, in the quarterfinals of the League Cup of France.Lacking an uneven pace, Lyon are fifth on the Ligue 1 campaign. Of the 30 points in the standings, they have won 16 (four wins, four draws and two losses) with 18 goals scored and 17 goals conceded. The teams have faced each other twice in the current season. For the first round of the French Championship in Lyon, the hosts won 2-0. In December, Amiens received the rival for the French League Cup. It was eliminated when being beaten by 3 to 2. Lyon’s absolute lack of consistency and the longest gap between the Ligue 1 game and the Amiens Cup of France, which in theory allowed for better preparation, opens up the risk prediction of home winners in the match of this Thursday that concludes the programming of the fourth phase of the tournament.